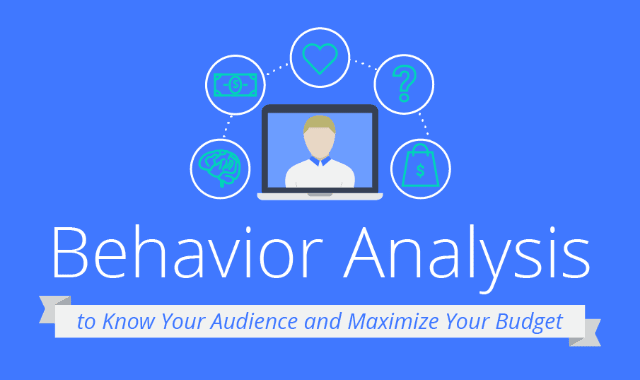 How Behavior Analysis Can Help You Increase Marketing ROI #Infographic ~ Visualistan '+g+"
Behavior analysis isn't a magic trick, but there's certainly something magical about its potential. Once upon a time, analyzing the target market was a given when it came to creating ads or content marketing campaigns. It has fallen out of fashion, but perhaps it's time to bring back the trend. At the very least, it's worth trying, if only for the opportunity to create an ad campaign tailored to your target. Behavior analysis offers you the chance to reach your audience at a visceral level to which they can't help but respond. To study the behavior of your target, you have to consider a few things. Most importantly, you need to pinpoint how they feel about your particular industry and the economy, in general. Discover what they're interested in and what they worry about the most. While you're at it, figure out what they know about your brand, product, or service and, if possible, what they think about it. At its heart, behavior analysis involves a lot of testing. You have to figure out which trends provoke the strongest response from your audience. As you launch your campaign, you also need to play around with headlines, offers, and calls to action. You'll find the sweet spot, even if the journey to get there involves several trial-and- error campaigns. The potential response — a target audience that overwhelmingly responds to your marketing — is worth the time it takes to find the perfect combination of marketing techniques, ads, and headlines. Moreover, you'll form a relationship with your consumers, and that's priceless. Keep reading below to learn how to grab your key demographic and make the most of your marketing budget.